Expect the highest quality eye care from expert Optometrists and Dispensers, with longer appointment times so that you’re not rushed. We pride ourselves on taking the best possible care of our patients and offering a wide selection of frames and contact lenses to suit all budgets. Our motto is Honest, Professional Eye Care. Our experts have a wealth of experience in both private practice and at The Manchester Royal Eye Hospital and offer a wide range of specialist services alongside eye examinations. Our practice has cutting edge technology that aids with detection of eye conditions and we are a proud partner with Zeiss Optical who provide the latest technology in spectacle lenses. Maloney Opticians has always invested in the latest technology. This includes the latest from Zeiss to ensure that your vision is optimal, plus the latest diagnostic equipment to ensure that your eye health is fully covered. Our Optometrists and Opticians are extremely well qualified, and offer enhanced services that you won't find at most practices. Services such as Orthokeratology - lenses that you sleep in to correct your vision. We are also one of the few Opticians with access to the MiSight daily disposable lens for myopia control. In 2017 Which? conducted an investigation into high street Opticians. The only section that had an excellent rating with zero bad reports was the independent Opticians. 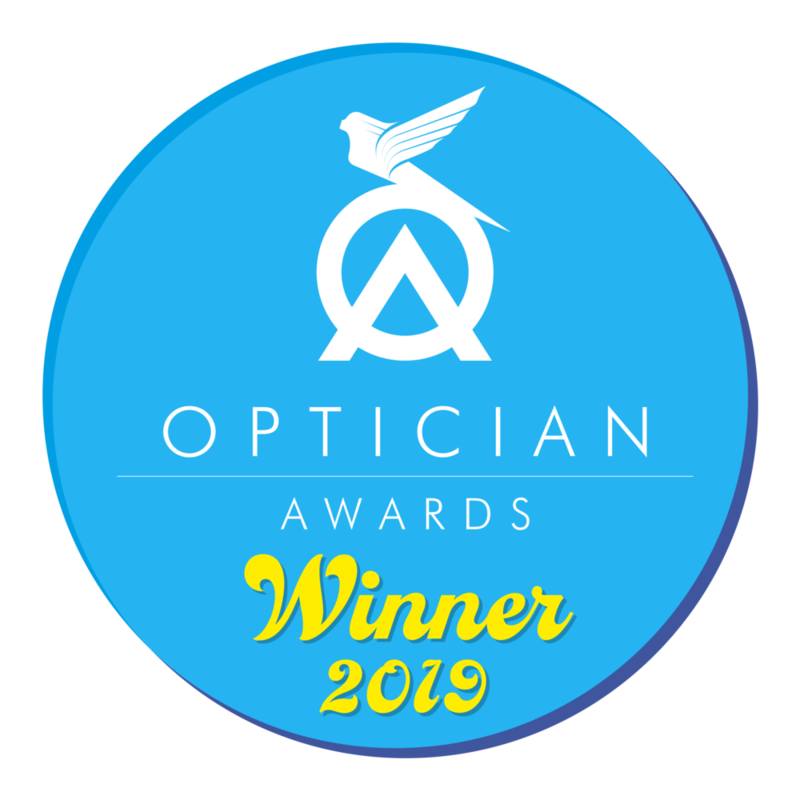 Winners of Optometrist of the year and Contact lens practitioner of the year 2019. You can book any appointment through our online system. This allows you to select the exact appointment you need at a date and time to suit you. We offer a wide range of frames to suit all budgets. These include top designers such as Lindberg, Swarovski, Moleskine and William Morris London. We understand that not everybody wants the latest designer frame, and some would rather go for an unbranded option. For that reason we also have some of the lightest and toughest frames available in a variety of top quality materials. Our ranges change frequently so it's always best to come in-practice to take a look. We offer a wide range of ski goggles and sports eyewear from Bolle. These can either go over the top of existing spectacles or in most cases be fitted with a prescription insert using the latest Zeiss lenses. As an independent we have access to a variety of lenses from multiple suppliers. We have chosen to partner with Zeiss because of their quality and wide range of lens designs available. We also offer unique Hoya lens portfolio to meet the demands of our customers. By purchasing spectacles bearing the Zeiss brand name you can be confident that your lenses are in a class of their own, setting your lenses apart from others. ZEISS has always the right product solution. To make sure that you get the clearest possible vision from your glasses we use the Zeiss i.Terminal 2 measurment system. Using the latest technology we map out where your eyes are centred on the frame and also the precise angles that the frame sits on your face. This information is then sent to Zeiss where they make your lenses based on the imaging. For the ultimate in visual performance we offer bespoke i.scription enhancement to your lenses. Using the i.profiler to take detailed measurements we can manufacture lenses that have been balanced for all lighting conditions.